Xiaomi Mi Note 4 has already appeared in leaks . Despite this, the smartphone still has not had an official debut, but it looks like the premiere may already be close. In the pages of one of the Russian websites, information about the new model of the Chinese brand appeared. There is a partial technical specification and price. 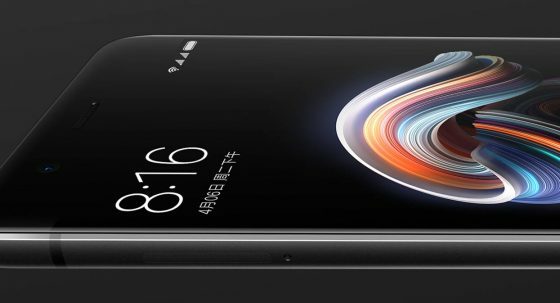 The Xiaomi Mi Note 4 is going to get the Qualcomm Snapdragon 710 processor, which is also found in the Mi 8 SE model. Then we have 6 GB of RAM memory. The data can be stored on 64 or 128 GB of space. The information on the screen remains secret for now. It is not known which display will appear here. There are also information about the front 12 Mpix camera. On the back of the case, the Xiaomi Mi Note 4 has a 20-megapixel camera, but the second lens will probably appear. What is important, the NFC module will also be present. The price of the Xiaomi Mi Note 4 is allegedly 2,499 yuan, which after currency conversion gives us about 1370 zlotys. Known phone technical data can be found below. They are still incomplete.